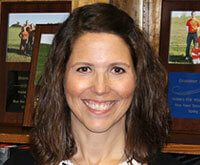 Debbie graduated from Hanover College in 1990 with a business administration degree. She went on to get her MBA from the University of Indianapolis in 1995. She worked in banking for eight years, starting in retail, then managing the human resources department for Indiana, and lastly managing the institutional trust administration department. While staying at home with her three kids for 11 years, she continued to work from home as a business manager for a large optometric practice and taught math and business courses at Ivy Tech. Most recently, she worked as CFO for an automobile insurance company for 6 years. Debbie and her husband Scott, have one daughter and two sons and she enjoys playing and watching tennis, reading and spending time with her family and friends. Debbie will be working with both business and Personal clients in all aspects of accounting and taxes. We believe Debbie’s past work experience in banking and human resources will be a big asset to our clients.